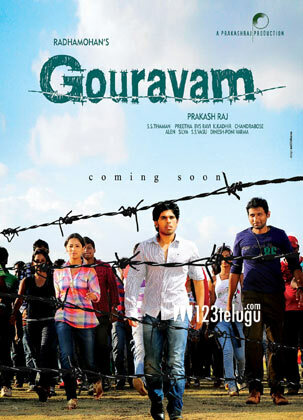 Sirish, Yami Gautam starrer Gouravam will finally gearing up for release on April 19. The film’s first look was recently unveiled and the publicity campaign is going to kickstart in a big way from this week. As per the latest reports, the film’s audio will be officially launched on April 5 during an IPL match between Sunrisers Hyderabad and Pune Warriors at Uppal Stadium in Hyderabad. The film’s Tamil version’s audio was recently launched in a popular TV show and the entire team took part in a debate on intercaste marriages and love affairs. Radha Mohan has directed this bilingual film and Prakash Raj has produced it under Duet Movies banner. S S Thaman has scored the music and Preetha is the cinematographer. Yami Gautam, who had been shooting for a Hindi film in London, is going to join the team of Gouravam for the promotions. The film is based on the subject of honour killings and how people in a village haven’t changed their lifestyle and customs with time.